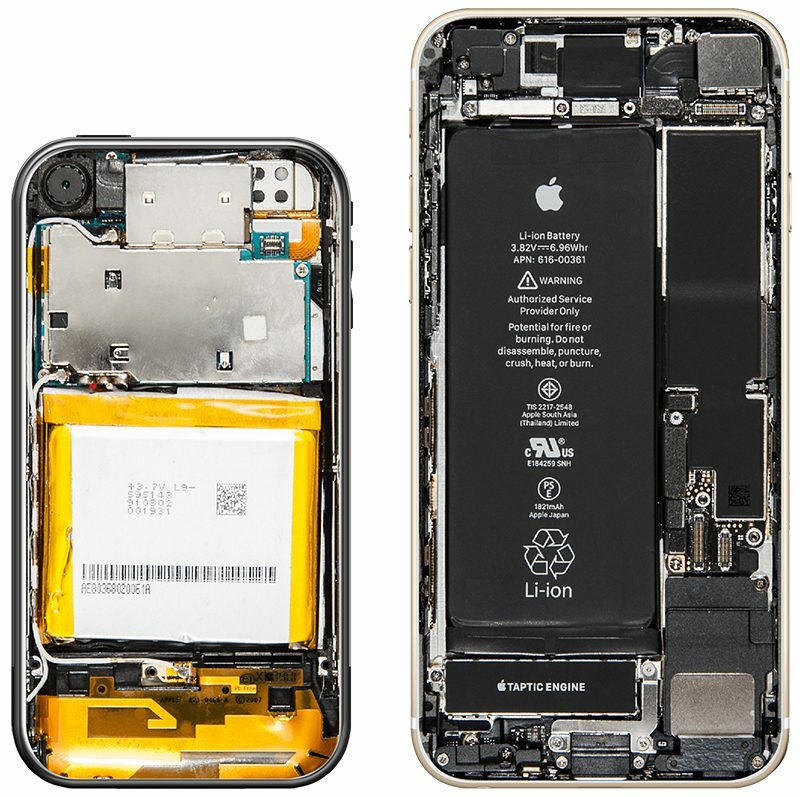 Bloomberg has partnered with iFixit to provide a look at how the interior of Apple’s iPhone has changed over the past ten years. You can see the original iPhone on the left above, which is equipped with a yellow lithium-ion battery rated for 1,400 mAh. At the time of its release, Apple claimed that the battery was capable of 8 hours of talk time and 6 hours of web browsing. The top left of the device housed a 2-megapixel rear camera, which notably lacked an LED flash. The original iPhone came equipped with 4GB, 8GB, or 16GB of storage, a single-core ARM11 processor down-clocked to 412 MHz, just 128MB of RAM, a PowerVR MBX Lite graphics processor, Bluetooth 2.0 support, and s 802.11b/g Wi-Fi chip. Other hardware in the original iPhone includes a 3.5-inch display with a resolution of 320×480 pixels, a mechanical Home button, and a 3.5mm headphone jack. In comparison, the iPhone 8 has a battery rated at 1,812 mAh, a 12-megapixel rear camera, up to 256GB of storage, 2GB of RAM, a six-core A11 Fusion chip, Bluetooth 5.0, 802.11a/c Wi-Fi, and LTE Advanced. 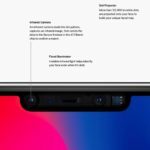 The company’s latest smartphone also has a Lightning connector, a capacitive Home button, and no headphone jack. You can check out high resolution photos of every iPhone’s interior from this feature article posted by Bloomberg.